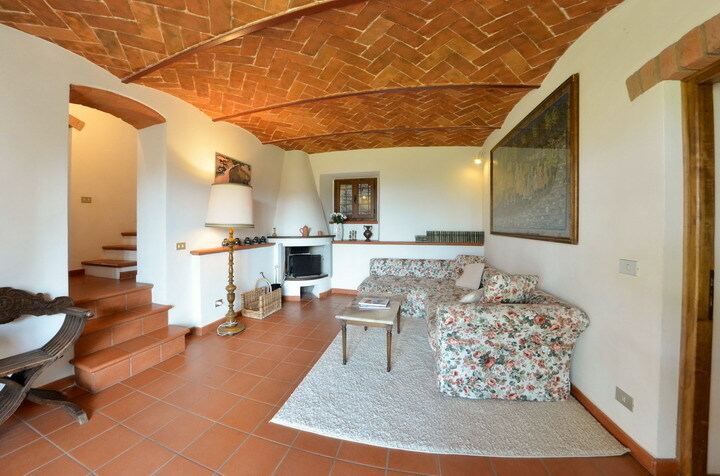 Surrounded by the gentle hills which frame the medieval town of Cortona, Villa Eugenio will assure you a peaceful vacation in the heart of Tuscany. 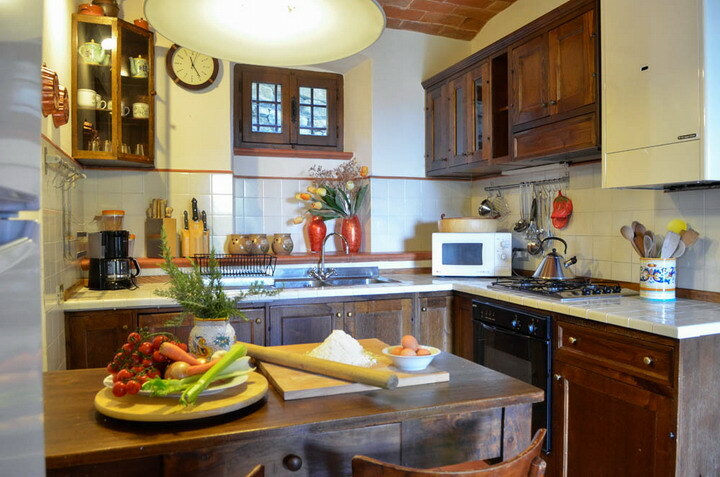 This beautiful 17th century Tuscan farmhouse has been painstakingly restored and turned into a warm and welcoming country house that can accommodate up to 9 people. 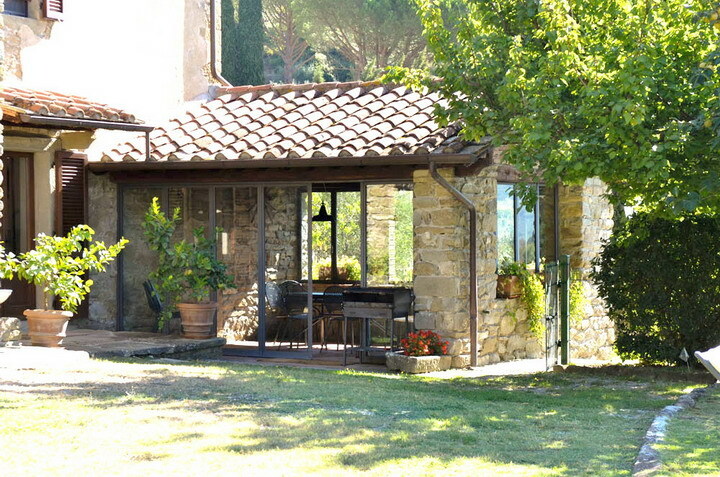 The villa develops on three levels. 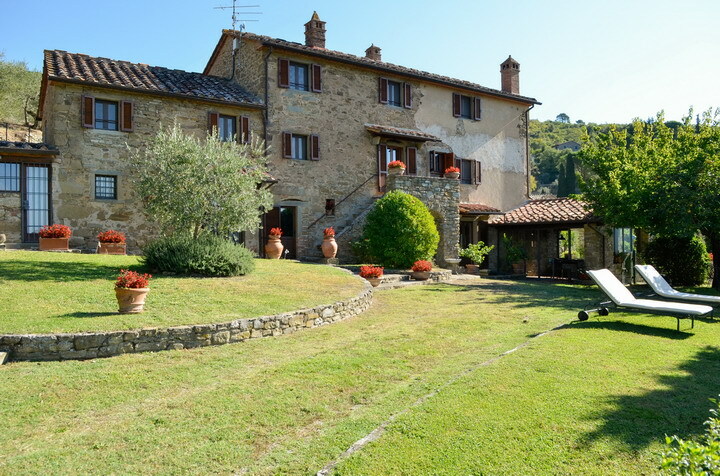 On the ground floor there are 2 living rooms, both with fireplace, sofa bed and TV, a dining room, a fully equipped kitchen, a shower room, a toilet, a laundry room, with iron board and washing machine, and a cellar. On the first and second floor, there are the bedrooms; On the first floor you can find 2 double bedrooms, both with en suite full-bathrooms with shower and bathtub; on the second floor instead there is one double bedroom and another room with a single bed sharing a bathroom with both shower and bathtub. 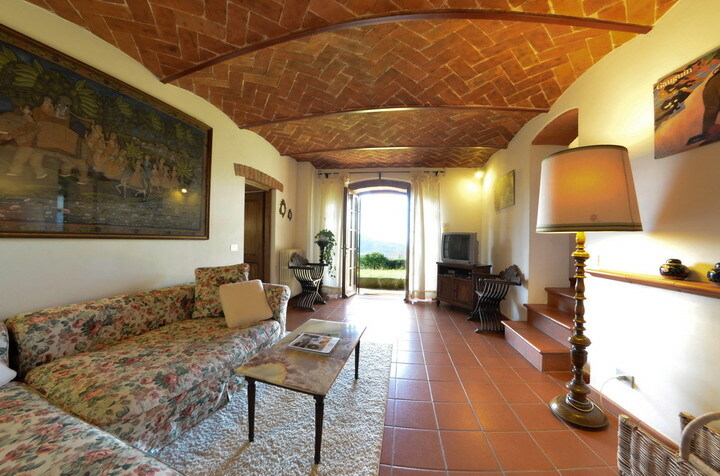 In the central area of the Villa, there is an apartment on 2 floors, with independent access from the exterior staircase, entrance – On the first floor there is the entrance and a dining room, kitchenette and living room with fireplace. 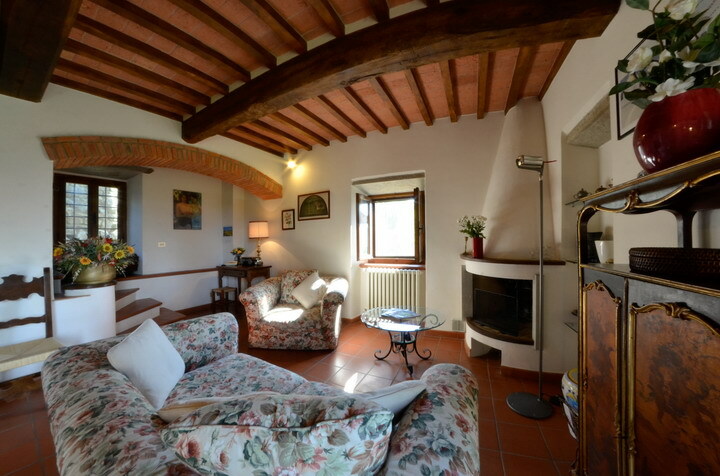 On the upper floor, there is a double bedroom with bathroom. Outside, the ample furnished garden, is perfect to unwind your senses and relax at the open air. 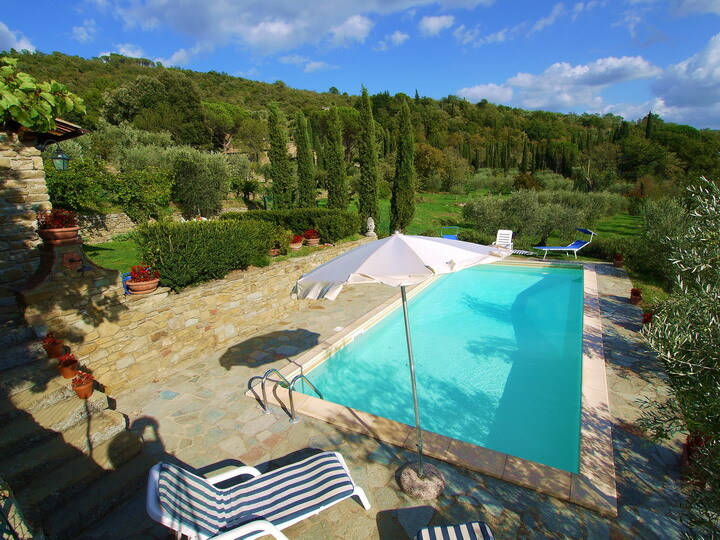 The main façade of the villa is enhanced by the Limonaia, ideal place to have special dinners while the beautiful pool, perfect to cool off in the hot summer days, overlooks the vineyard and olive groves which were once the site of the battle of the Trasimeno between Hannibal and the Romans. 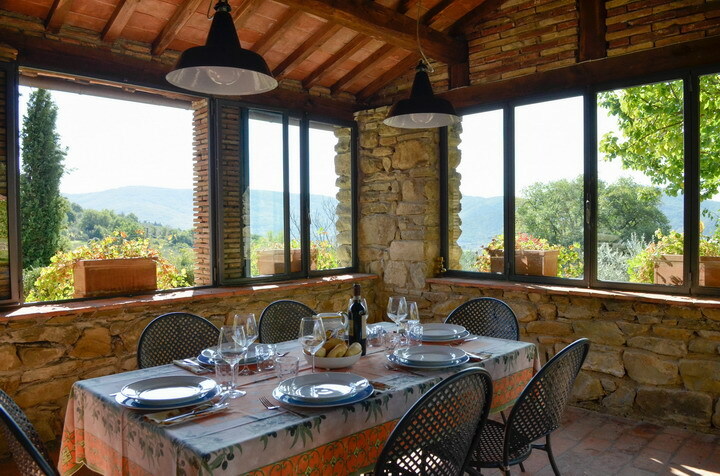 Totally independent but not isolated, villa Eugenio allows guests to reach shops and restaurants in a few-minute drive and it is located in a perfect area for walk-lovers and hikers. Even though our week started with bad weather, we've had a wonderful time in this house. Clouds, terrible wind, rain and even hail gave us time to really get to know the house. Beautiful weather came for our last 4 days. Thank you for a great week in a beautiful place! Security deposit: € 500.00 cash payable to key-holder on arrival. The deposit will be fully refunded after inspection on check-out day. All rates are inclusive of taxes, power and water consumption. Tourist tax not included, if applied by the Municipality where the facility lies. 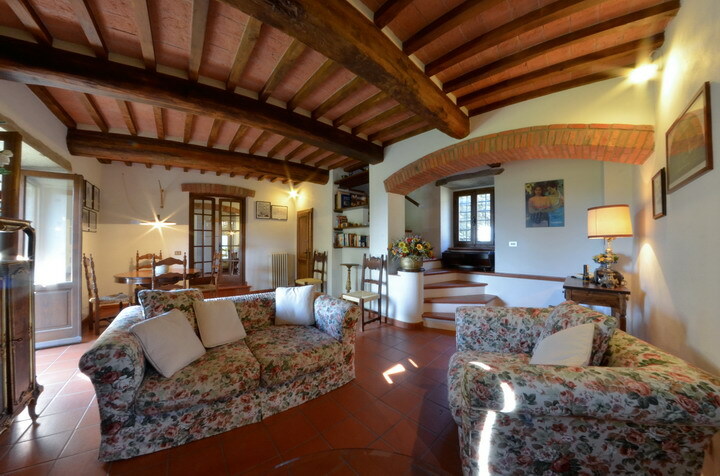 Villa Eugenio also for 11/13 persons: rent the cosy cottage close to Villa Eugenio!